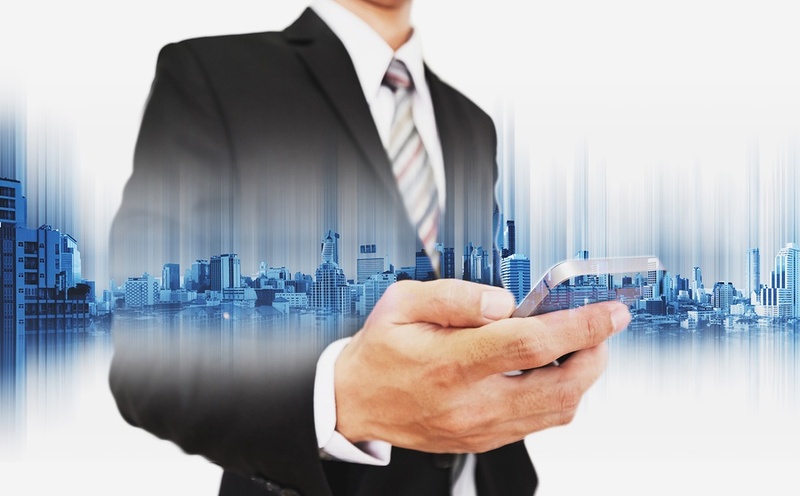 Why are commercial real estate professionals so laggard in their adoption of mobile? Sure, they’re using their phones to make calls and send emails, but that barely scratches the surface of what their mobile devices could be doing to help grow their business and serve their clients better. The rest of the workforce, particularly business leaders, uses mobile for—well—just about everything. Too many brokers still rely on their desktops, or even paper files, to store and retrieve information, from property details and market comps to industry reports. But they aren’t going to get away with it for much longer. Brokers’ clients and prospects are accustomed to on-demand access to information. When they have questions, they expect brokers to have answers, whether they are in the office or at a baseball game. It’s time brokers embraced a cloud-based mobile approach that allows them to conduct business anytime, anywhere. It’s also time for businesses that hire brokerages to consider mobile capabilities in their evaluation and selection process, and prioritize working with brokers who use mobile to optimize their performance and provide superior service to their clients. Too many brokers store vital information in haphazard, self-made systems. You can’t easily access an Excel spreadsheet from your mobile phone! Brokers could opt for cloud-based CRM systems that are accessible from their phones via simple, user-friendly apps. Then, they get all of the same information they’d have on their desktops on their devices, including contacts, property information, listings and personal financial information, like updates on commission. Let’s say you are touring a building with a client who has a question about the occupants on floor three. With the right mobile approach, you can pull up stacking plans right then and there. Or imagine you are in a meeting with a business owner who wants to hear about additional space options in a particular area. With the right mobile approach, you can immediately share relevant avails and comps. Or perhaps a meeting ends early and you’d like to do some canvassing in the area. With the right mobile approach, you can peruse lease expiration dates of nearby properties to prospect more effectively. Unfortunately, these scenarios aren’t possible for many CRE professionals. They simply are not using mobile to its full capacity, and their failure to do so is hurting their business, as well as those who hire them. A strategic approach to mobile will help brokers work more productively and better manage their day. In a recent study on CRMs and productivity by REAL Trends, 96.2 percent of brokers indicated that they thought the use of a real estate CRM system by their agents had a positive impact on productivity. Brokers should look for CRMs that automatically sync information so that if they add data while they’re on the road, it is reflected in the database when they log on from their computer. This also makes collaboration easier, should they be working as part of a team. For the owners, landlords, tenants and investors who enlist brokers’ services, it’s important to inquire about a firm’s mobile approach before you make a brokerage services decision because it directly affects you and your business. For example, if you are a building owner and a broker is giving a tour of your property, you want him or her to be able to answer a potential tenant’s question on the spot—not later that day. This year, commercial real estate brokers have two choices: embrace mobile as a tool for driving business growth, or risk putting themselves at a distinct disadvantage as they compete in this increasingly tech-savvy, and mobile, business world. On-demand access to information establishes brokers, and the businesses that hire them, as trustworthy and knowledgeable. And delayed access to that same information puts your business—and potentially your clients’ businesses—at risk. Mobile devices are no longer just tools for communication. They are the key to organization, collaboration, prospecting, research and, ultimately, business growth. Tanner McGraw is the founder and CEO of Apto, the leading web-based software platform for commercial real estate brokers. A commercial real estate veteran with a decade of brokerage experience, Tanner founded Apto after experiencing deep frustration with the lack of specialized technology available to manage customer relationships simply and profitably. Today, hundreds of brokerages use Apto’s scalable cloud-based app to better manage their contacts, properties and businesses.